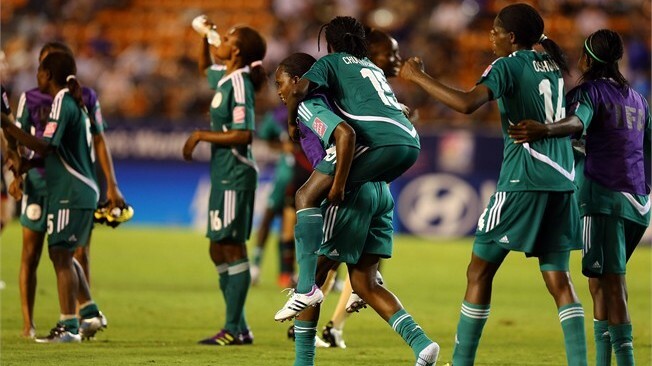 Blatter who was speaking at a FIFA banquet for the four teams remaining in the FIFA Under 20 women world cup, which took place at the Conrad hotel in Tokyo, said the world’s most populous black nation has continued to play a leading role in the promotion of the game in the universe. According to him, all thanks to Nigeria, Africa is become stronger in strength and enterprise and the world football governing body is happy about the achievement. The dinner was attended by members of FIFA executive committee, top officials of the Japanese monarchy and the Local Organising Committee of the FIFA u-20 Women’s World Cup Japan 2012, members of various FIFA committees, women football icons, officials of the four teams remaining in the competition and FIFA staff. 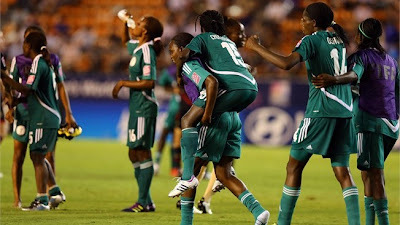 The super falconets of Nigeria will have an opportunity to get the bronze medal when they meet, the host Japan in the third place match on Saturday by 8am.